There is so much going on in the world of flash fiction! 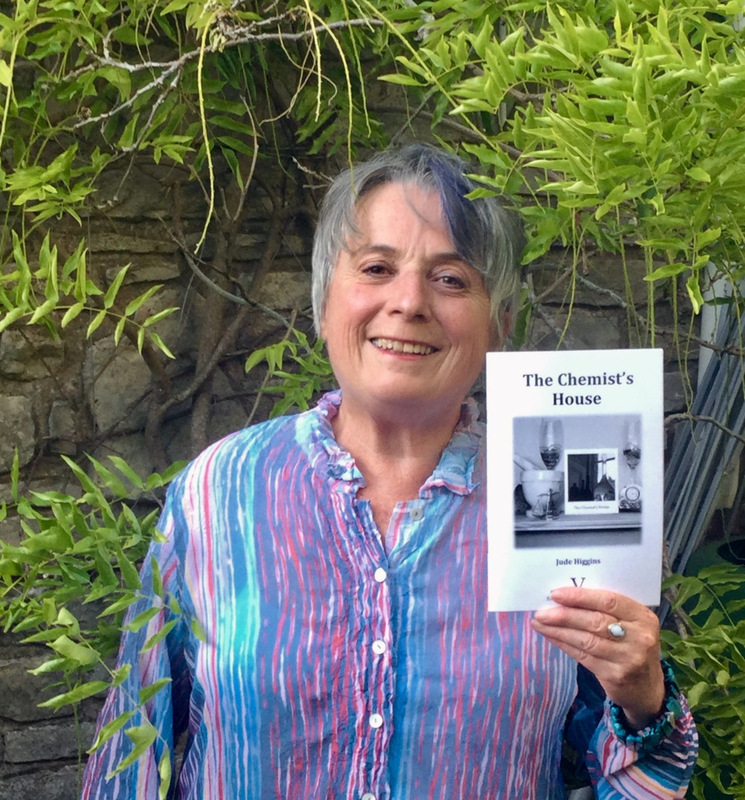 The big news for me is that my flash fiction pamphlet, ‘The Chemist’s House’, published by the wonderful Sarah James at V Press is now out in the world and you can buy it here on this site. The picture is me being a proud author on publication day,which was yesterday, Friday 16th June. My pamphlet will also be for sale at the Flash Fiction Festival on 24/25 June in Bath. In other flashy news, I was delighted to reach the final 22 in Flash Frontier’s Micro Madness contest. They post one story a day until June 22nd, National Flash Fiction Day in New Zealand. Scroll down their blog to June 14th, to read my story about the Owl and the Pussycat’s future relationship. I am also thrilled that my flash fiction written during Flashnano last November, ‘Ten Ways to Prepare For Your Brothers’ Visit’, is going to be posted on the Flash Flood blog on National Flash Fiction Day UK at 1.00 pm. It will be nice to see it up there at lunch time on Saturday, during the Flash Fiction Festival. So many flash fiction friends from social media are coming. It’s going to be amazing. And I will get the chance to read a story from my pamphlet in the evening of readings on the Saturday night. Booking for the festival is closed and nearly everything is now sorted. It’s been great working as the Director with the flash festival team. Meg Pokrass, Diane Simmons, Santino Prinzi, Michael Loveday, Matt Coles and Louisa Bailey. And we also have Freya Morris in charge of the raffle on the day.